Value meets versatility in the famous Featherlite Model 8127, which is recently enhanced for 2017 with redesigned sidewalls and a redesigned slam latch. 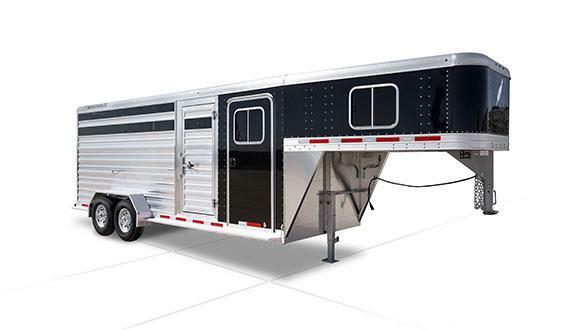 This gooseneck stock trailer offers prospective buyers the ability to customize their trailer, including the length and height. They can choose as well from an almost endless list of customization options.  This is a trailer that is guaranteed to be uniquely yours! 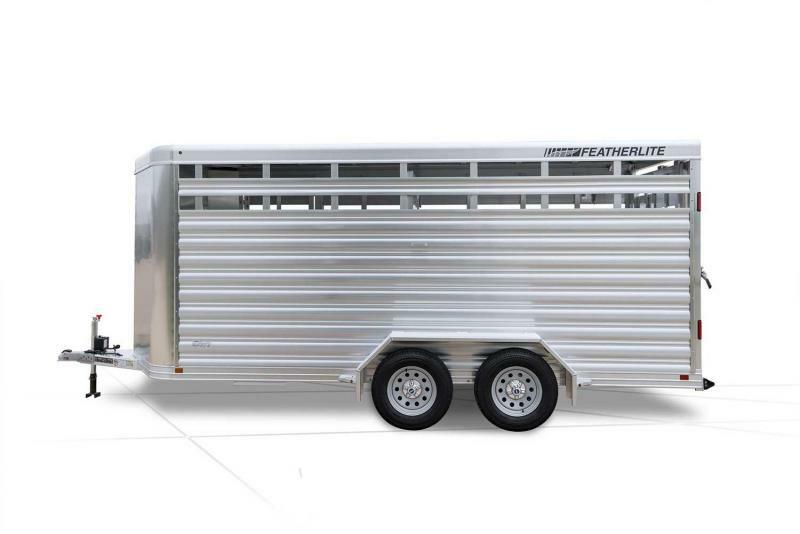 Product Description: Featherlite Model 8127 gooseneck livestock trailers are available in lengths ranging from 16' to 36'. 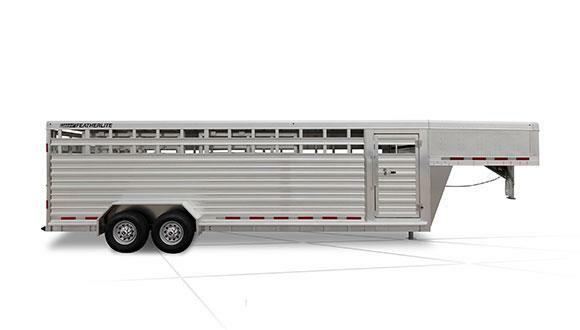 An aluminum floor provides extra protection when transporting livestock. 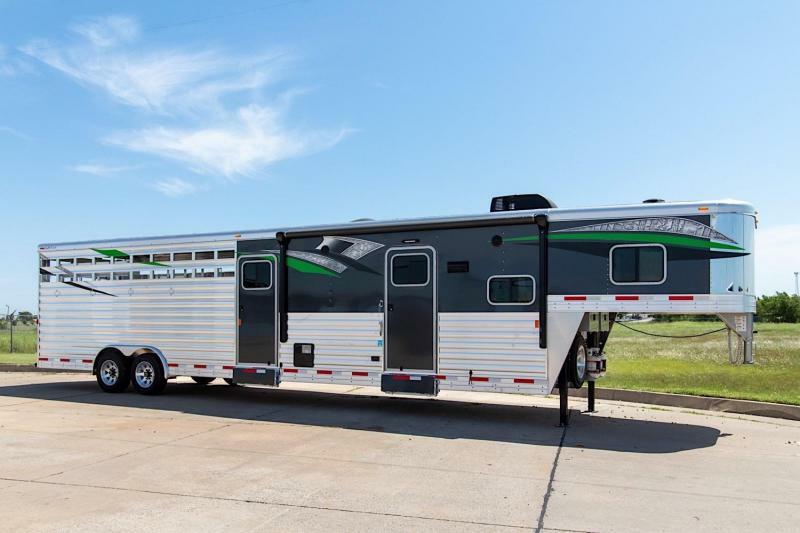 Trailer options include a roll-up door in the rear gate, a drop-down front access door in the gooseneck, graphics and much more. 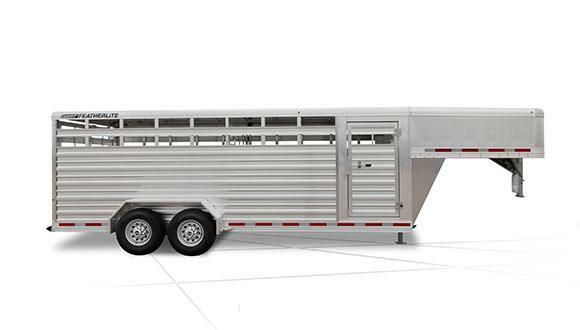 Weight: For the weight of this particular model, please download and reference Trailer Weight Index for stock trailers. Warranty: 10-year limited structural warranty; 3-year bumper-to-bumper warranty. 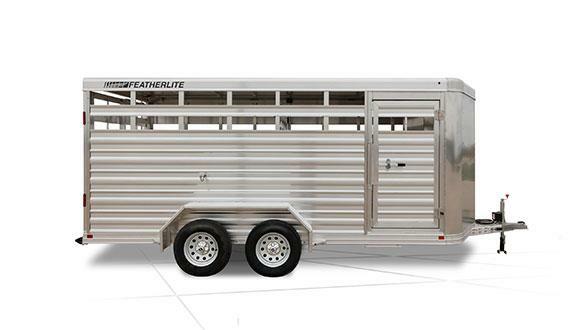 Transferable warranty** available on qualified trailers. See warranty page or dealer for more info.